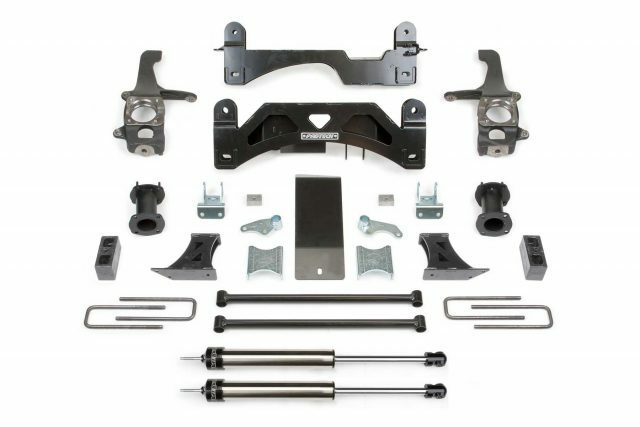 The Basic system features a heavy duty shock spacer system that retains the stock coilover shocks without disassembly for a factory like ride. Extended length ductile iron steering knuckles have been designed to operate within the factory steering geometry, providing proper turning radius with oversized tires and wheels. 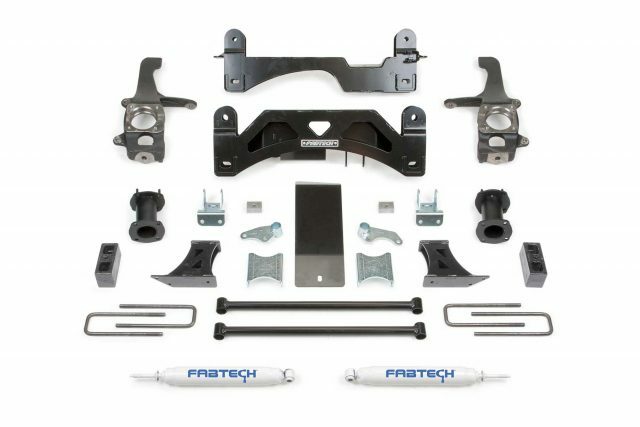 The factory lower control arms are relocated with high arched 1/4″ thick steel crossmembers with an integrated differential skid plate for protection against offroad obstacles. 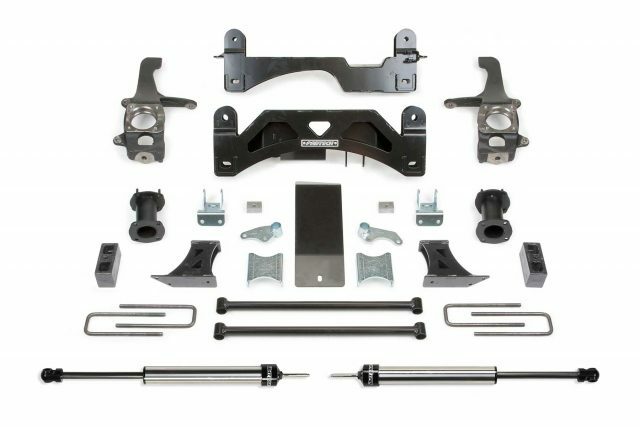 The factory front sway bar is retained and utilizes sway bar drops. 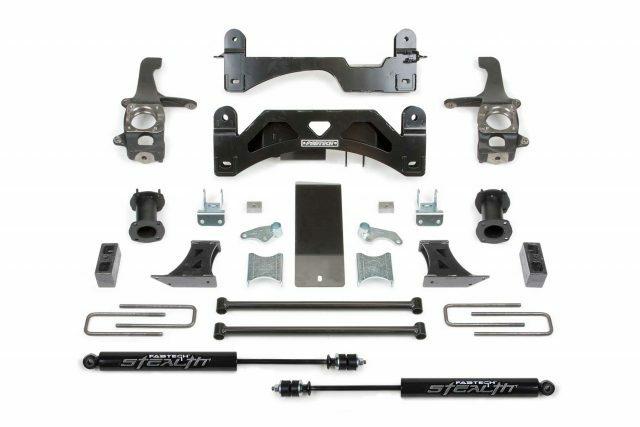 This system utilizes a block and u-bolt kit for rear lift, and is available with rear Fabtech Performance, Stealth, or Dirt Logic shocks.